The new Aquaman costume is a highlight of James Wan’s Aquaman film as the version in Justice League was low key with less of a resemblance to the original comic book Aquaman costume. 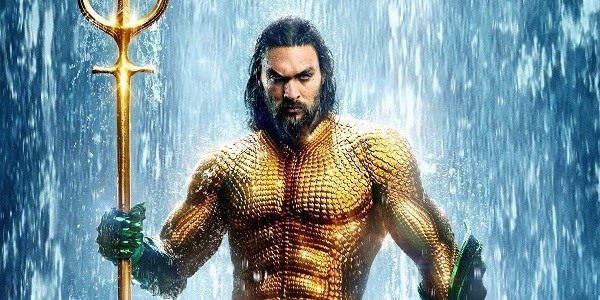 The challenge with the new Aquaman costume seems to have been in clothing the giant Jason Momoa in what is essentially a leotard armoured with scales. That must have surely been a visual and physiacl nightmare to create. Wearing the Aquaman suit was equally unpleasant experience according to Momoa. “It looks like it’s easy to pee in that,” Momoa said in an interview with Entertainment Weekly. “But really it’s not. And if you have the poopsies, it is very challenging. You’ve gotta be really good at holding it. So, some of those little fun facts you might want to know. That’s definitely one of the challenges,” he said.